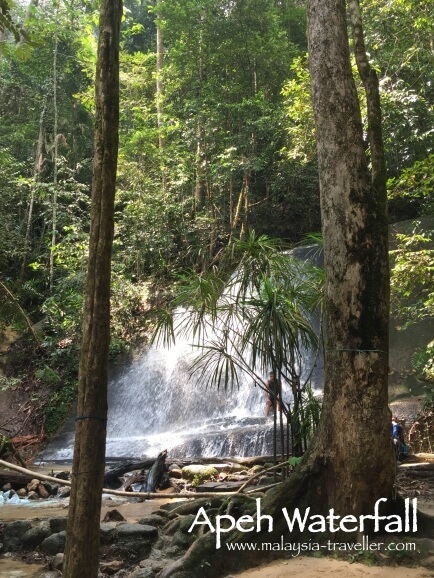 Apeh Waterfall goes by many names and spellings including Ah Pek Hill Waterfall, Bukit Saga Waterfall, Bukit Putih Waterfall and Bukit Puteh Waterfall. 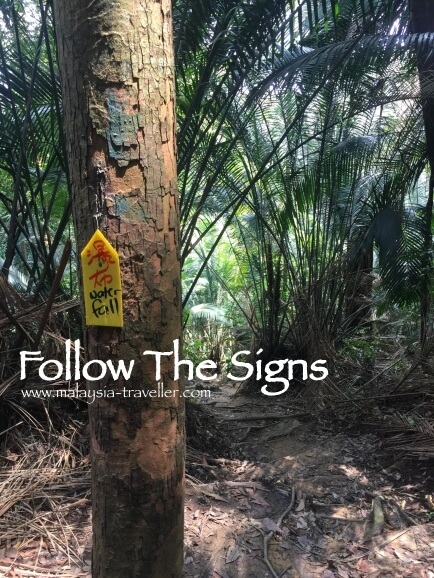 It is an extension of the Ah Pek Hill Trail which includes two hills, Bukit Putih and Bukit Saga located in the Cheras area on the eastern edge of Kuala Lumpur. I have hiked this trail many times and thought it was about time I took a look at the waterfall. It had been raining almost every day for over a month so I expected the waterfall to have a good flow of water. I also expected the trail to be quite muddy but it wasn't too bad. 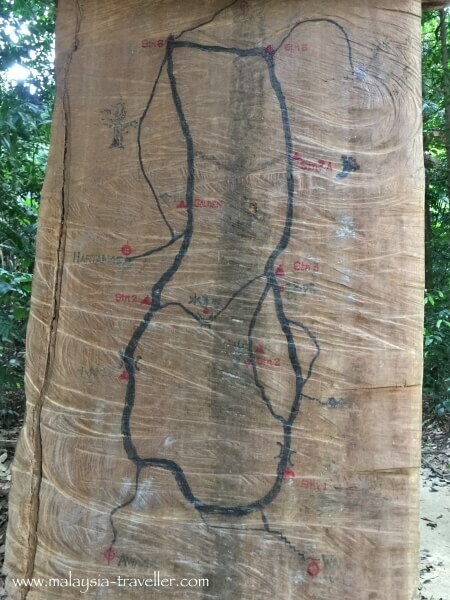 There are a number of starting points to the Ah Pek trail. I started at Jalan Awana 23 (see photo and map here). 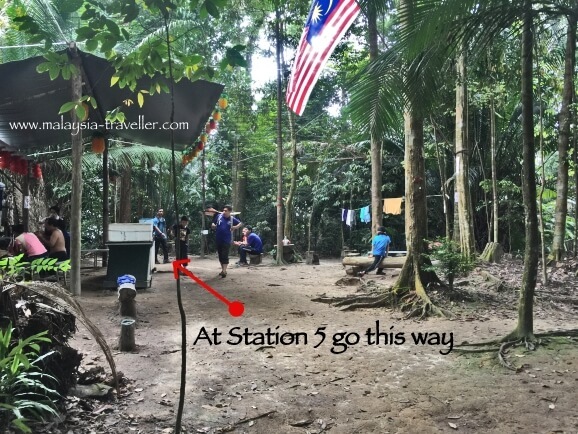 From there you follow the signs to Station 6 which is the main resting point with a tree house and refreshment stall (open at weekends only). It is shown on the top left corner on this rudimentary map which somebody has thoughtfully provided at one of the rest stations. From Station 6 continue to Station 5 where the trail forks left to the waterfall or right to continue the circular trail. The trail down to the waterfall is currently well signposted with these yellow markers. 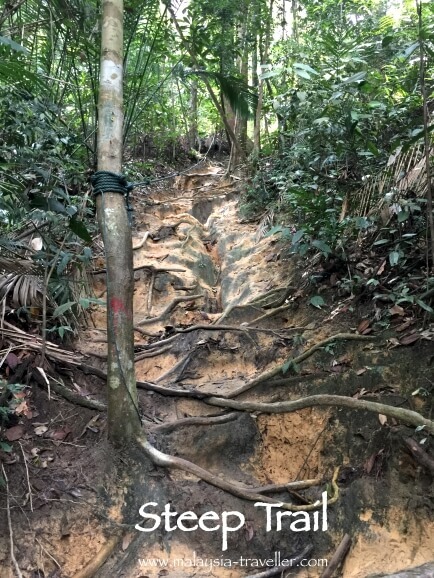 The trail descends gently at first but becomes steeper as you get closer to the waterfall. Eventually you will hear the sound of the waterfall and you are there. 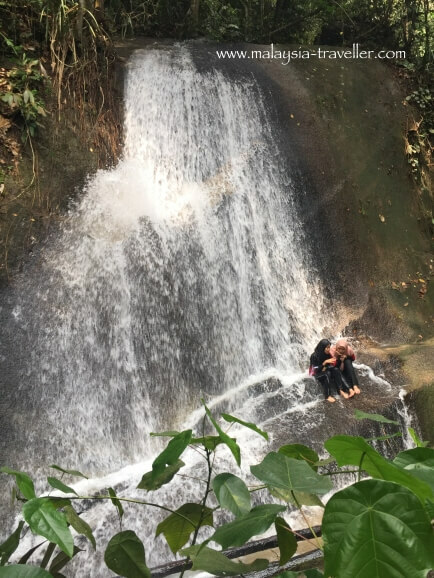 I went on a Saturday and it was very busy with people picnicking or taking a refreshing soak under the cascade which was in full flow and about seven meters high. There is an upper fall too but by this time I was concerned it might start to rain again so I started the long trek back to my car. The walk took me about 4 hours altogether and I found it quite tiring. I must be getting old! 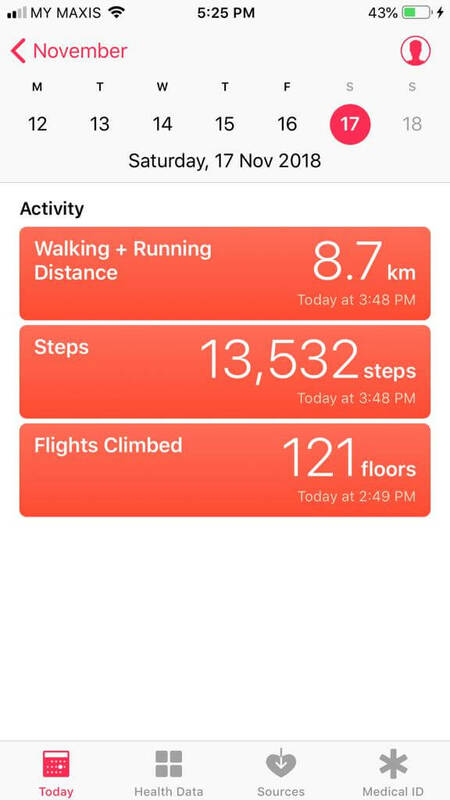 The health gizmo on my phone calculated the distance as 8.7km. Not accurate but it gives you an idea. Somebody had attached a sign to a large tree which read 'POKOK PVC.' 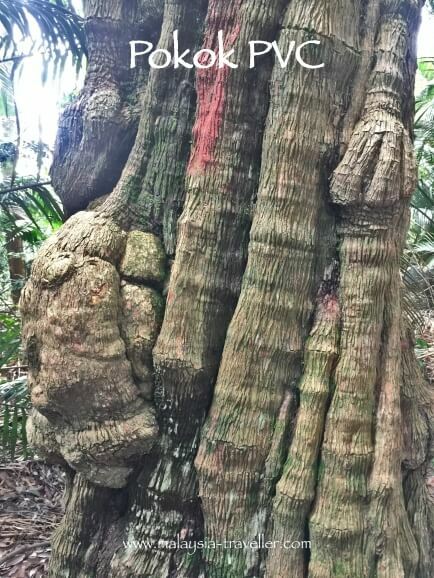 I don't know what that is supposed to mean but it sure is a magnificent tree with a gnarled and twisted bark which reminded me of the 'Ents' from Lord of the Rings. Read my Bukit Putih page for more details.